A former US Secret Service agent has pleaded guilty to stealing $820,000 (£521,000) of bitcoins during the investigation of the Silk Road website. Shaun Bridges was part of the federal task force that helped investigate and shut down the Silk Road - an underground marketplace for drugs. 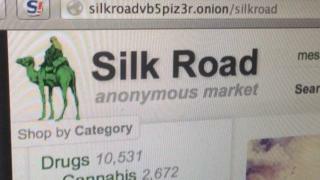 The Silk Road's founder, Ross Ulbricht, was sentenced to life in prison in May for running the site. Bridges is the second agent involved in the case caught stealing digital cash. He pleaded guilty to counts of money laundering and obstruction of justice while stealing the virtual cash, during a court hearing on Monday in San Francisco. He will be sentenced in December. Bridges was caught despite trying to conceal his theft via a series of complex financial manoeuvres that were aided by his position as a forensic investigator on the Silk Road case. The vast majority of the $214m of sales made via the site were completed using bitcoins. The theft was carried out while the investigation into the Silk Road site was ongoing. To commit the crimes, Bridges used access he had to an administrator account on the Silk Road to reset passwords and move 20,000 bitcoins to a wallet he controlled. "There is a bright line between enforcing the law and breaking it," said US assistant attorney general Leslie Caldwell in a statement. "Law enforcement officers who cross that line not only harm their immediate victim but also betray the public trust." In early July, former US Drug Enforcement Agency agent Carl Force pleaded guilty to three charges in connection with more than $700,000 in bitcoins he had stolen from Silk Road users. The Silk Road was shut down in October 2013 when raids by the FBI and other federal agents led to the arrest of its founder.